In a world where magic is forbidden, a young assassin named Celaena Sardothien is working a mine as her prison sentence. But, being chosen by the Crown Prince, Celaena will be able to fight to serve as the King's Champion, if she can defeat twenty three other convicts. But as the competitors start dying one by one, it stops being a fight for freedom but a fight for survival. And she's the only person who can stop this evil. This book is a mystery within itself. The writing style was intricate. The way how the past is explained throughout the book instead of in the beginning was beautiful, and everything came together in the end. It's extremely unpredictable, but in a good way. For me, I found it boring at first but kept reading because I knew something big would happen. But before I knew it, I was hooked. The characters really drew me into it. I would recommend this book to anyone wanting a storytelling experience. It does take a bit of time to get into, but after that I think that the writing style just pulls you in. This book would also be good for people who like to come up with theories. It does have a love triangle, which I found a bit awkward, but for fans of dystopias such as The Hunger Games, I think that you'll like it. It's also the first book in the series. In the kingdom of Danland, a prince comes of age and the chief official selects a province that the princess will be selected from. This time, the territory of Mount Eskel is chosen, which is filled with rough mountain girls, so a princess academy is organized to prepare the girls. Miri, the main character, is one of these girls who attends the academy and learns about what it takes to be a princess, from reading to poise and conversation. 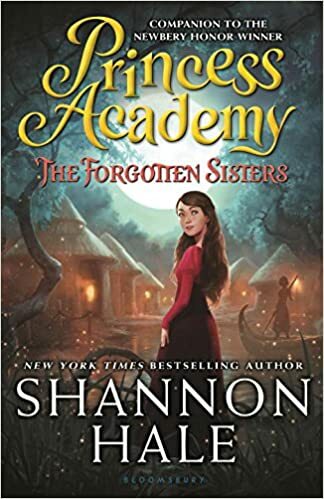 I love this book because Shannon Hale whips up a great story that is original but still incorporates the best qualities of popular books- romance, courage, and adventure. This is my favorite of Shannon Hale's books! I would recommend this book to girls who like princess type books, though just about anyone would like it because it isn't your typical princess story. I have personally recommended it to many people and all have loved it. Miri had spent a year in Asland but is just about to return home to her family on Mount Eskel when King Bjorn asks a favor. He agrees to give her the rights to the land of Mount Eskel if she travels to the swamp in Lesser Alva to be a tutor to the King's cousins. Miri learns the tricks to the swamp and becomes best friends with the three sisters- Astrid, Felissa, and Sus. Miri manages to save the kingdom once again from war, knits the royal family back together, and returns to her home of Mount Eskel. I loved this book because there were so many twists and turns I had not seen coming. This book has a different feel then the other two in the series, but the adventure and romance is definitely consistent. This book is mostly intended for girls. Be sure to read the other two in the trilogy before reading this one. This biography captures Catherine de Medici's lifetime from a unique and well-researched perspective. This queen is often remembered for the murder of thousands in the massacre of many on St. Bartholomew's Day, however she made many positive contributions to France and the surrounding countries. The book gives a positive perspective of her during her reign and the reigns of her children. The biography was interesting because it did not display prejudice against her even though she is primarily known today as a murderer. I enjoyed this because history classes do not have the time to go in depth the way this biography does, so it offers a new point of view. I would recommend this book to someone who finds history a fascinating subject and to someone who enjoys reading biographies. This book tells a woman's entire life story and gives an elegant window into her time period. The book starts off with a dystopian society where the prince is coming of age and is holding a contest to find a bride. America, class 5, enters with pressure from family members, and her secret boyfriend. The book was very good and had me reading to the wee hours of the morning. It is well written and has a some-what advanced vocabulary. The ending was very abrupt and is a cliffhanger to the second book, with no resolution of the main conflict and no true decisions made by the main character. Even so, the book was very entertaining and the sequel quickly justifies the first book. You will be engrossed in the lives of the characters and feel as though you are in the selection yourself. Kiera Cass does very well. I would suggest these books teen girls.